The Zumba® Shop - Zumba Clothing, Music & Accessories! The Zumba(R) Shop and www.zumbashoponline.com is an authorized seller of authentic Zumbawear(R), Zumba Fitness Clothing, Music and Accessories! 4/24/2019 Zumba Clothes, Zumbawear, Zumba Tank Tops, Zumba Shirts, Zumba Cargo Pants, Zumba Capris, Zumba Leggings, Zumba Shorts, Zumba Accessories, Zumba Bracelets with Bells and Zumba CDs are In Stock and Ready to Ship! Zumba Cruise BONUS! Use code 17136 when booking your Zumba Cruise for a $25 onboard credit. (non-ZIN only) (each member of your group that uses the code will receive the onboard credit). The fan-fave Squat Sweat Sync Tank flatters as you flex and Z-Dri(r) technology keeps you cool and dry as you sweat to the beat. 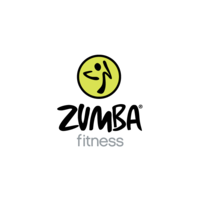 Zumba®, Zumba Fitness® and the Zumba Fitness logos are registered trademarks of Zumba Fitness, LLC. All Zumba logos and content on this website are used under license.